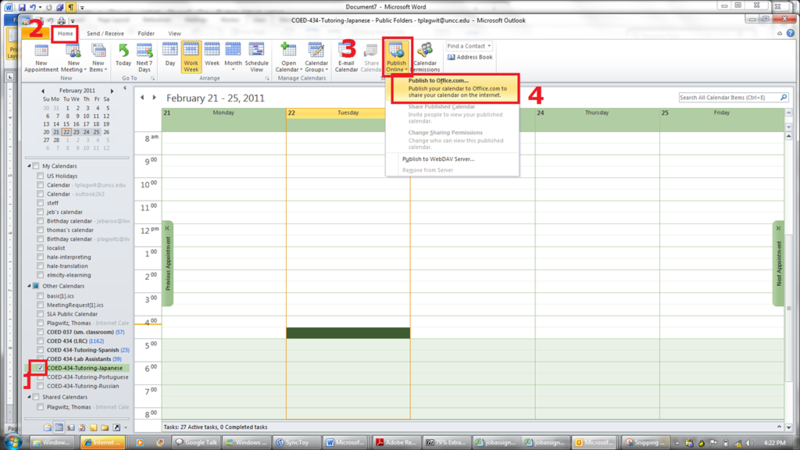 We have 1 calendar per language tutored in the MS-Exchange public folder: All Public Folders\Languages\COED 434 (LRC). Each calendar for each tutoring slot has an appointment. Put restrictions (e.g. 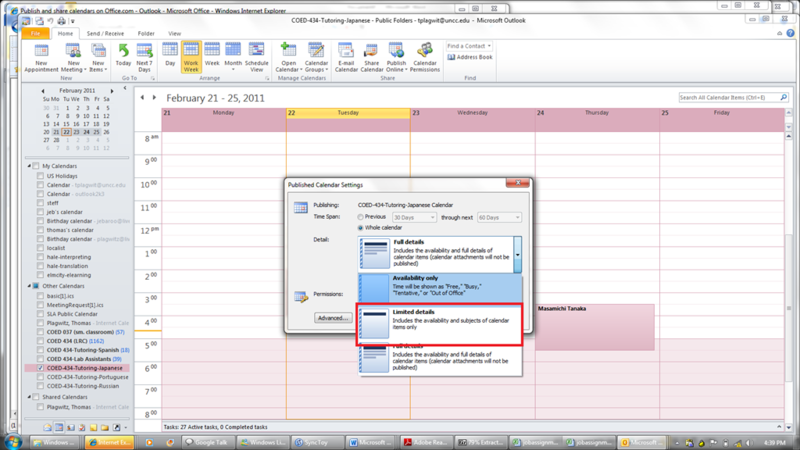 “1201/2 level only”) in the appointment title, tutor name in the notes field (the language tutored appears in calendar title itself). 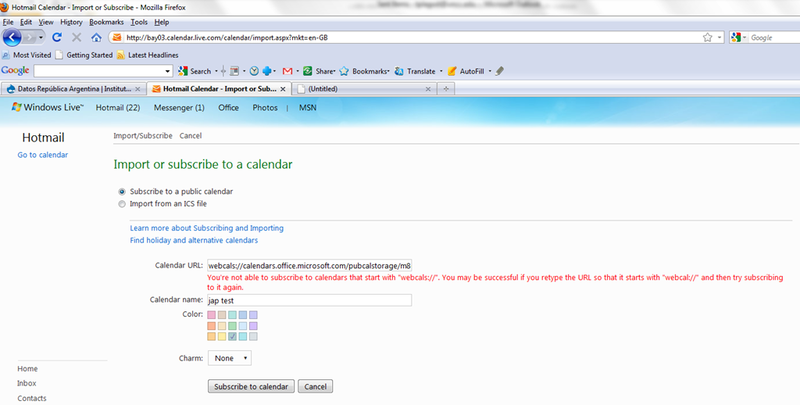 When MS-Outlook offers you to notify other users of this published calendar, email it to me and to yourself. In MS-Outlook, select all published calendars, overlay them, and make a screenshot of the result (note: there should be only titles, no details). 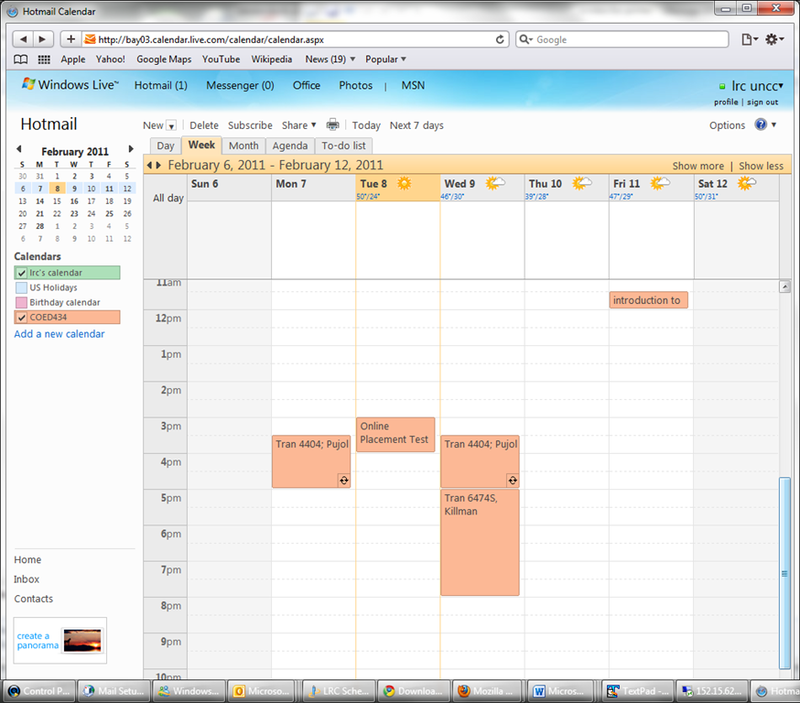 On the LRC website tutoring calendar page, post the screenshot with the title “Snaphot of the calendar””. Leave the text for any exceptions from recurring events. 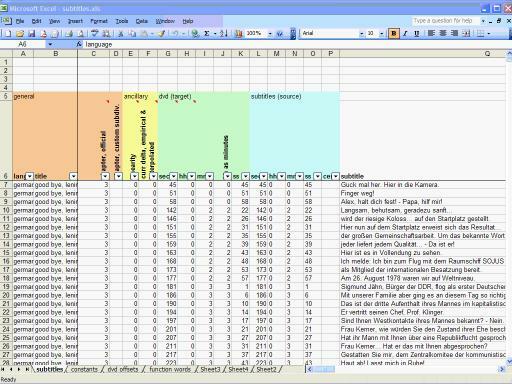 Add as instruction “How students can subscribe to the live calendar: https://plagwitz.wordpress.com/2011/02/24/calendaring-how-students-can-view-the-lrc-schedules/”. 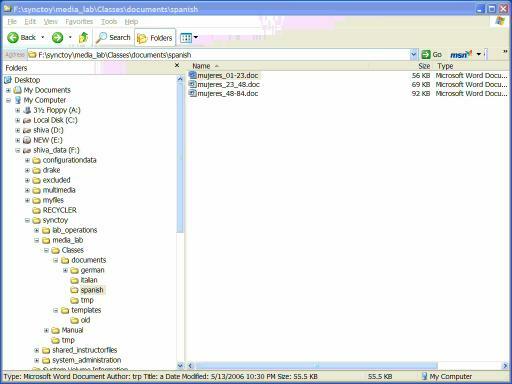 As of Fall 2011, this is obsolete. View instead the new and improved procedure. 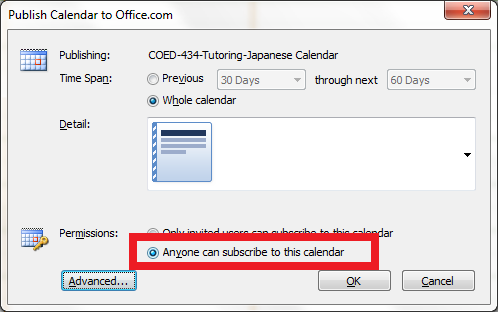 “You can subscribe to published calendars if you use a program that supports the WebCal protocol, such as Outlook, Windows Live Calendar, Google Calendar, or Apple iCal” (MS-Office online Help), as well as Yahoo Calendar. 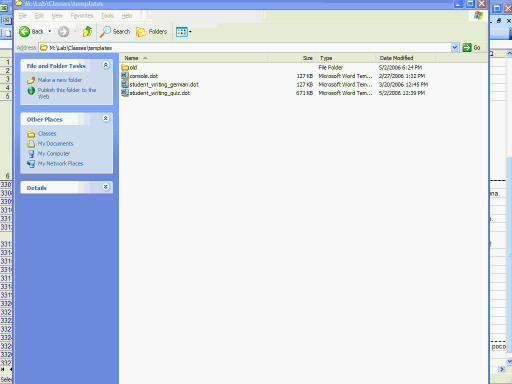 Is Windows Live Calendar available to everyone with a Windows Live ID? Sign into Windows live (or later live@edu) with your Windows live (or later live@edu) ID. On the toolbar, go to Calendar. This calendar will be live, i.e. every subscriber will see any updates the LRC makes (like for late-breaking changes and cancellations of tutoring hours). Note however, that synchronization is not instantaneous. Give it up to 30 minutes, under normal circumstances. 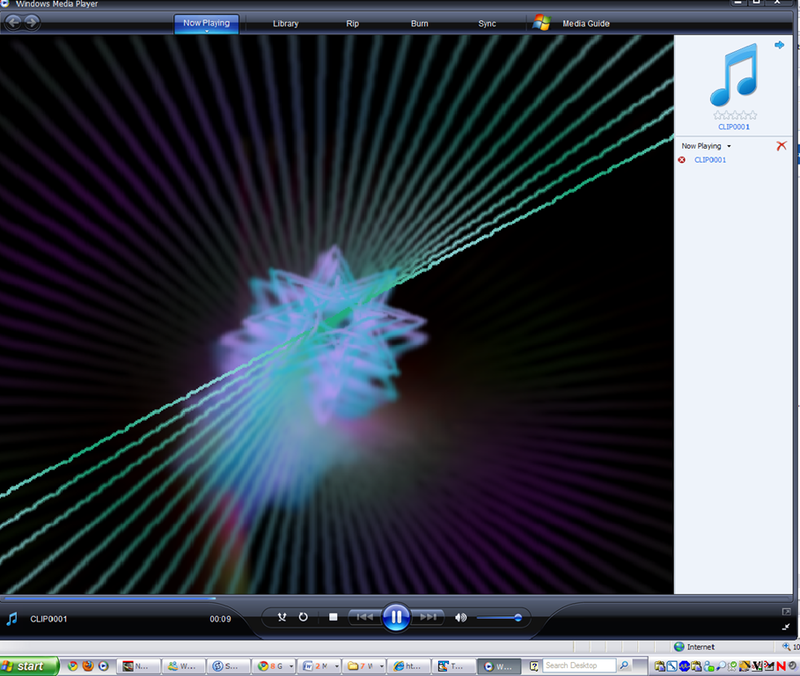 It may come as no surprise that Windows XP -despite a number of upgrades of its built-in Windows Media Player application -, lacks native support for newer video codecs (= what the computer needs to understand the compression of video data, does not map 1-to-1 with video file formats. 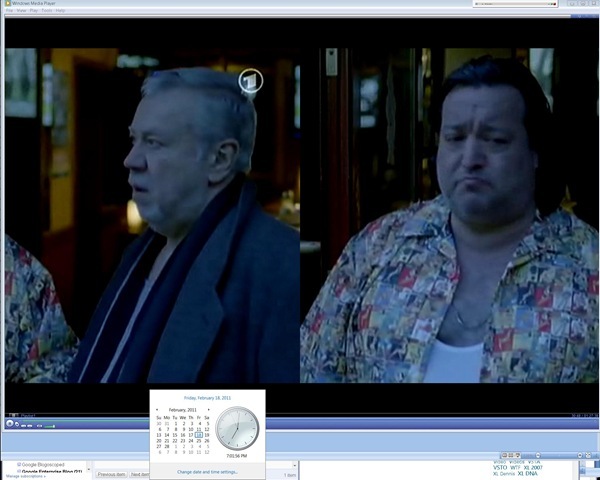 Video codec support in Windows 7 has been much improved). 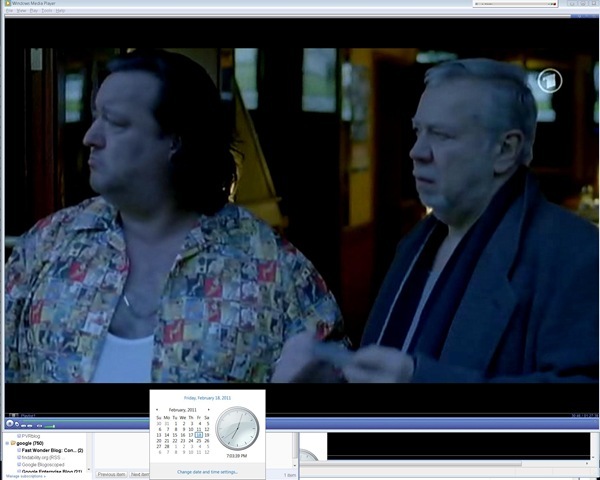 If you run into the common problem that, when trying to play a video on your computer, only the audio displays, try downloading, installing and playing the freeware, open-source, cross-platform VideoLan VLC player from here. 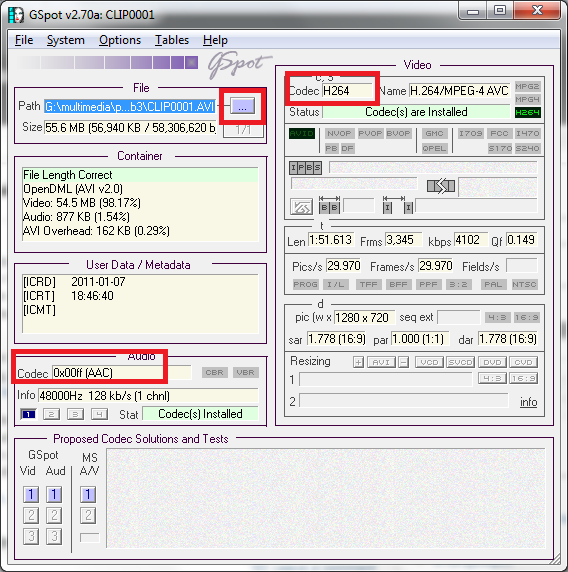 You may find it easier to pass only this codec information to local IT support than the actual video source file. However, before trying to install missing video codecs from unverified internet sources, make sure to consult local IT support (a lot of malware is distributed with video codec packs). Monitors: 2 23’’ LCD screens, side-by-side in portrait mode, with Windows extended to secondary screen. A bit of a nuisance, but no newer driver has been released yet on Windows Update, so I decided to work around the issue like this . 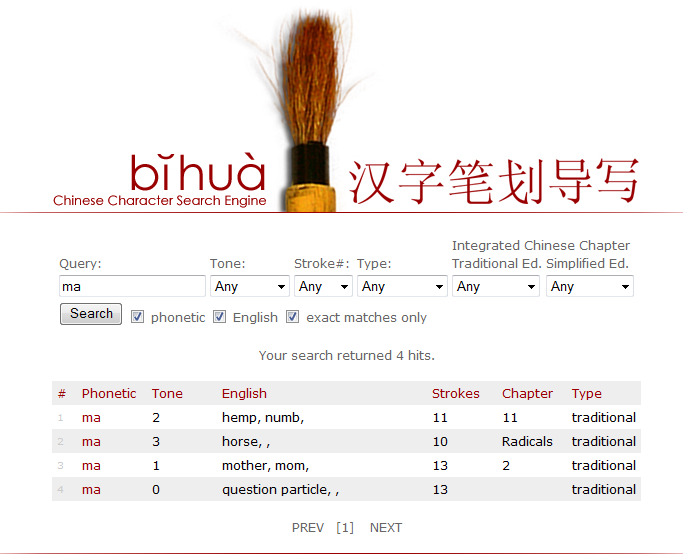 Chinese characters are written in a stroke order (which differs for traditional, simplified, and Kanji). This convention is useful for memorizing characters, but also aids handwriting recognition software, and can be used for looking up Chinese characters. http://www.csulb.edu/~txie/azi/page1.htm has animated GIFs to teach the stroke order. http://lost-theory.org/ocrat/chargif/ is also based on animated gif, but the animation is a bit easier to follow since the current stroke gets highlighted, and you can search for characters. Animated Gifs and other video-based teaching tools may be a bit to non-interactive, and also too fast (but could be slowed down). Even better would be a pen- or touch-enabled software that allows the learner to practice the stroke, following guiding lines. Unfortunately, pocketChinese which would fit the bill ((on Java enabled phones) seems to not have been updated in almost 3 years. The college’s infrastructure offerings now include a wireless-voice-recorder. The setup consist of a Sony-voice-recorder-pcm-m10, a lavalier microphone, audio-technica freeway-atw1201-transmitter and audio-technica r200-transmitter. I made these photo and audio materials during a test. If you cannot make out the person recording in the panoramic photo of the hallway, that can give you an idea of the suitability of the recorder for e.g. large lecture halls.